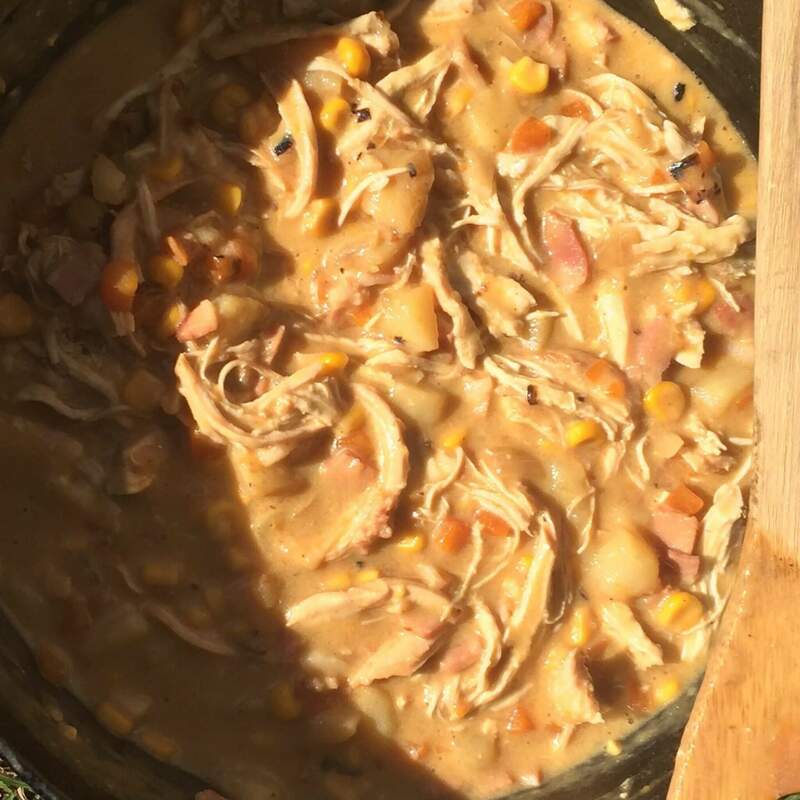 This chicken and corn chowder is so easy to make in the camp oven and perfect to serve with some fresh crusty damper! 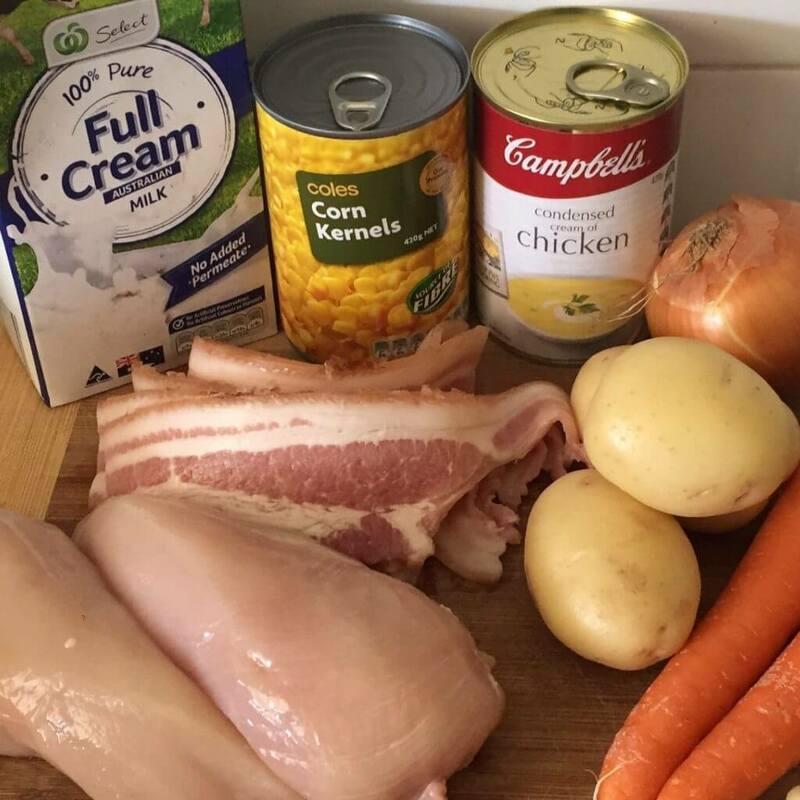 Cook slowly over a low heat, up to an hour, to make sure the chicken and vegetables are cooked through. 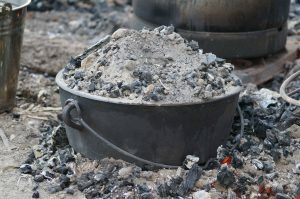 Use any heat source you prefer and remember, if you are using coals or Heat Beads then only bottom heat is really needed. 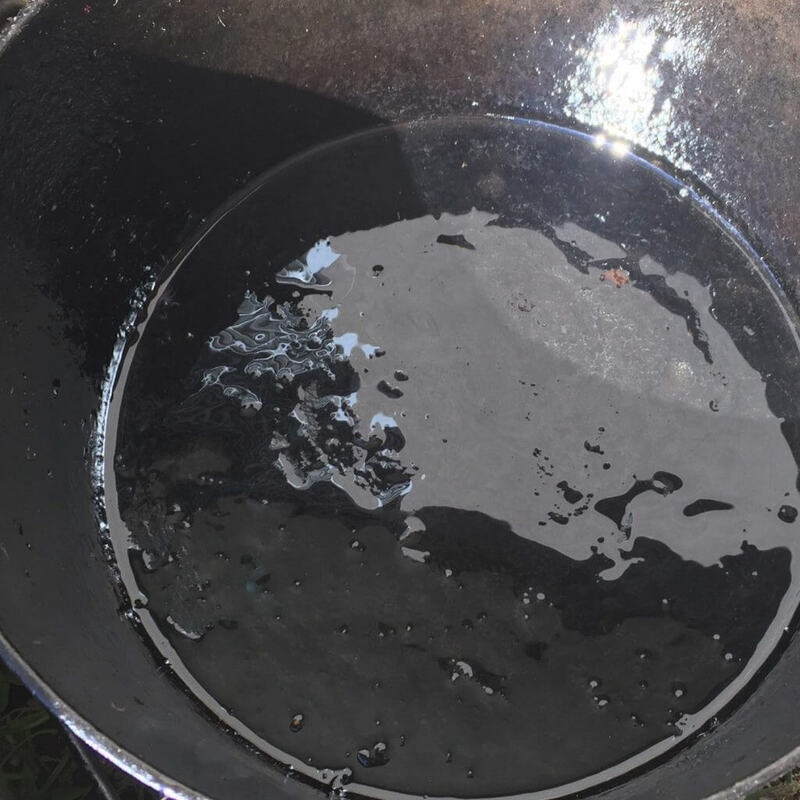 Preheat your camp oven and add a splash of oil, we’re using a 10 inch Metters camp oven. Add the onion, garlic and bacon and fry until it’s browned. 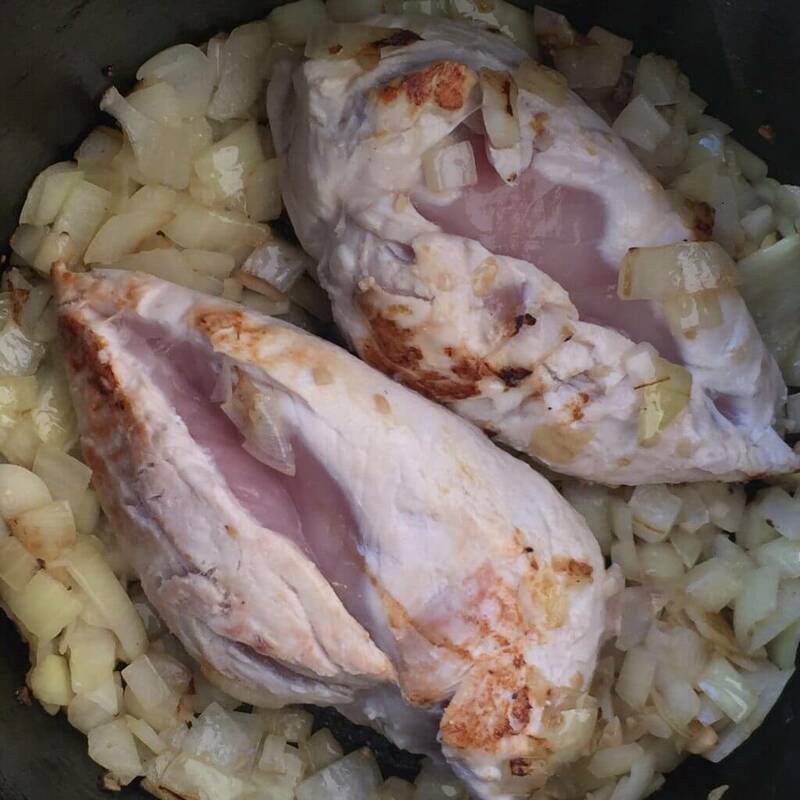 Next, add whole chicken pieces and fry until just browned. Next add the carrot, potato, corn, soup and milk and stir to combine. 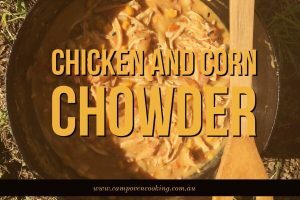 Cover and cook over a low heat for 45 minutes or until chicken is cooked through, stirring every 10/15 minutes. 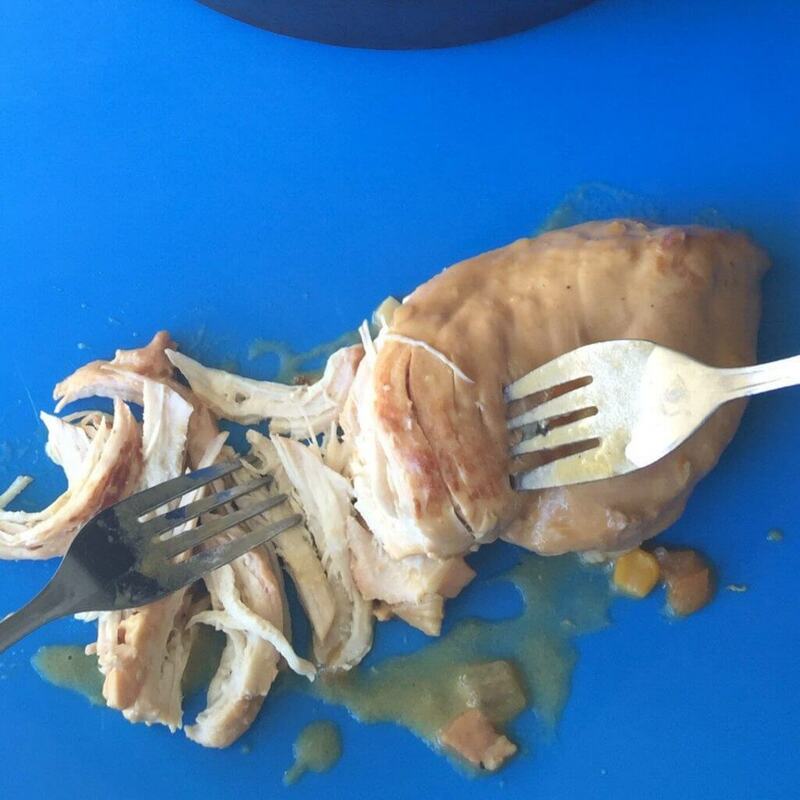 When chicken is cooked, carefully remove whole chicken pieces, use 2 forks and shred chicken. Return to camp oven. Season with salt and pepper, stir then serve fresh with crusty damper. 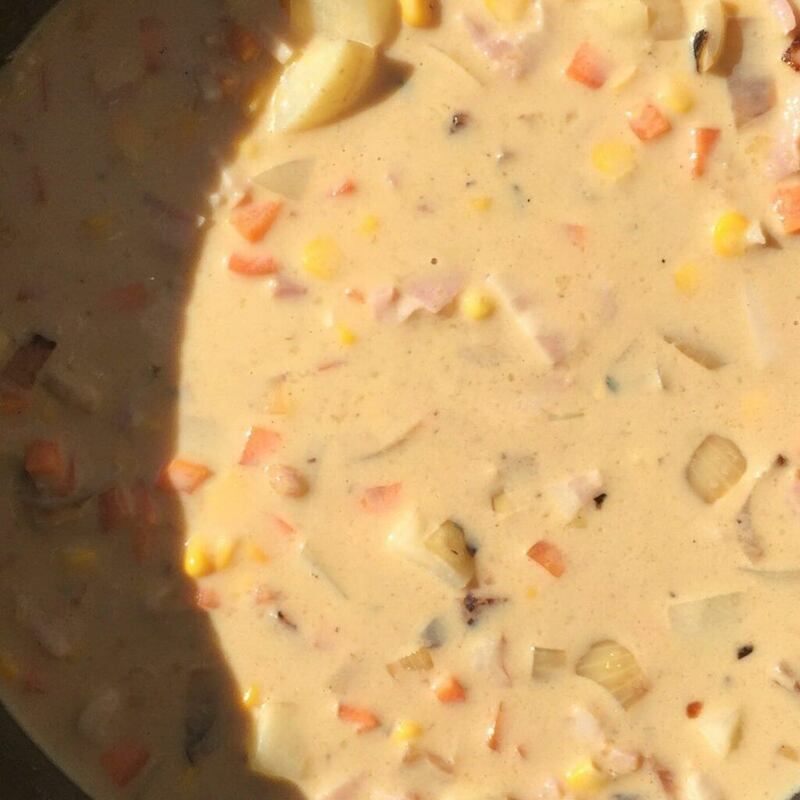 Note: This chicken and corn chowder only requires bottom heat. 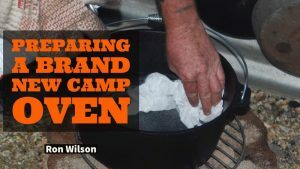 We used a gas ring burner in a 10-inch Metters camp oven. 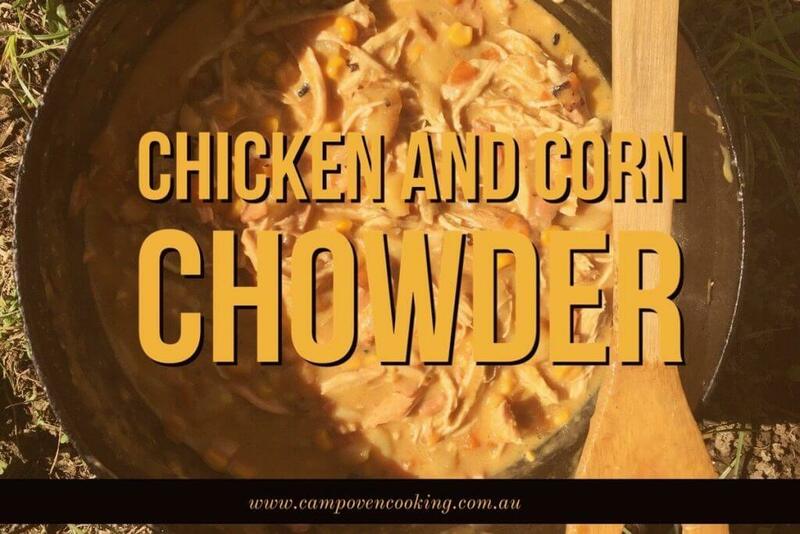 This recipe can cook on an Ozpig, a bed of coals or heat beads. 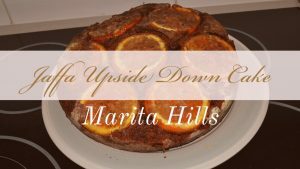 Check out more recipes, photos and more on our Facebook page!